Whoever endures a moment of the void either receives the supernatural bread or falls. It is a terrible risk, but one that must be run. Even as a child, Simone Weil had an understanding of both the deprivations and the depredations of war. At an age when most children can barely see beyond their own shifting desires, Simone Weil had fully grasped the reality and the meaning of sacrifice. She was six years old in 1915 when the immolation of Europe by military force and blind violence had already crossed unspeakable thresholds. In May and June of that year, over one hundred thousand French soldiers lost their lives in the Artois offensive. Three months later, a further one hundred and ninety thousand French soldiers were killed in the three-weeks-long Champagne offensive. In that year alone, nearly two million French soldiers, over a million British soldiers, and over six hundred thousand German soldiers had been killed in an insane mutual slaughter that saw little if any change in the battle lines of the Western Front. 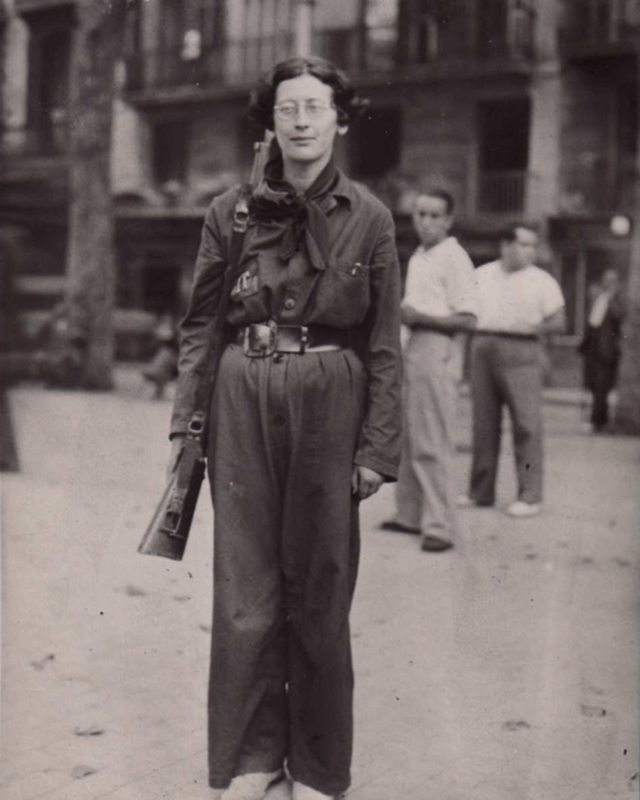 Simone Weil's father, a doctor, had been conscripted for medical service soon after the outbreak of the war. Travelling with her family from base to base, Simone came to know at close range the tragic reverberations of war. At the age of six, she quietly announced at the family table that she would no longer eat sugar but would send her portions to the French soldiers on the Front. This small act was to be the first of many such gestures of identification with the oppressed and the afflicted throughout her life. From an early age, Simone Weil had attended closely to the political currents of the time. She identified with revolutionary Marxism even before her adolescence and had become active within workers movements by the time she had reached her twenties. She visited Germany for ten weeks in the summer of 1932 staying mostly in Berlin. While she was there, she came into contact with Leon Trotsky - who in 1928 had been expelled from the Soviet Union by Stalin - and with his inner circle. On her return to France, she published a number of articles on the disarray of German trade unions and on the passivity of the German Communist Party in the face of Hitler's ascendency. While visiting Paris the following year, Trotsky and his son stayed briefly in the house of Simone Weil's family. He and Weil vigorously locked horns and, in the words of Sylvie Courtine-Denamy, "engaged in heated discussions of the revolution." Her youthful ideological fixations were rapidly disintegrating as she came to realise the growing violence and oppression exercised by the communists in Stalin's Soviet Union and by the national socialists in Hitler's Germany. Her commitments began to shift from engagement with revolutionary thought to understanding more deeply the lived realities of the poor and the oppressed. The metaphor of the slave was to become a recurring trope in her writings thereafter. She left the factories in August 1935 as her already-frail health had broken down under the pressure. She began to experience severe migraines that prevented her from reading and writing for days at a time. Although her physical capacities would never fully recover, Simone Weil's daemonic drivenness remained undiminished, reigniting and burning furiously at every opportunity. The Spanish Civil War broke out on July 17th, 1936. Despite her frailties, she signed up with an anarchist militia together with fellow anarchists from other European countries. Within a month, Weil was in Spain, sporting a carbine on the front-line. In yet another example of the thwarted intention that seemed to be her constant companion, within a few days of arriving, she stumbled into a pot of boiling oil and severely scalded one of her legs. She was forced to return to France soon after because of the injury. Yet the experience was not an entire debacle. Being thrown into the horrors of actual warfare, she was soon disabused of any notion of the inherent nobility of war. She came to learn of the fate of a 16 year-old Spanish boy soldier who had been captured by her group. Refusing to join her companions and to renounce his allegiance to Franco, he was summarily executed. This was her first direct encounter with the impersonal brutality that infects all who come under the thrall of force in the fields of war. On her return to France, she began searching out earlier historic sources in an attempt to understand the nature of the forces that drove individuals and nations to engage in war. 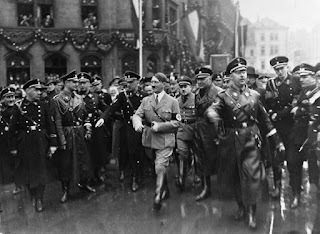 Her visit to Germany had made her aware of an increasing militarism that was growing into a machine that threatened to engulf Europe in a holocaust of unrestrained violence. She had even then predicted that Hitler would gain victory in 1933, and that Europe-wide war would inevitably follow. Nowhere in the essay was there any explicit mention of the situation that confronted Europe at the time. Like the poem itself, Weil drew from the timeless elements fashioned by Homer to provide an account of the slow descent of the human spirit into a destructive and dehumanising mania under the thrall of force. I can do no better than to re-echo Bruce's sentiments - particularly in regard to Simone Weil's L’Iliade, ou le poème de la force. These unanticipated experiences did not alter the intensity, but redirected the style of her philosophic quest as she more determinedly sought out the perennial sources of insight into the numinous, transcendental and supernatural dimensions of human experience. These sources included the Gospels, the Bhagavad Gita, the Egyptian Book of the Dead, the Koran, and Taoist and Buddhist literatures. 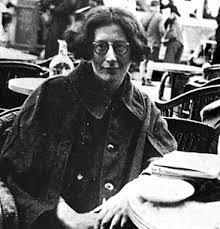 Although Simone Weil continued to engage deeply with Catholicism in her latter years, she maintained complete independence from all institutional forms and, according to all accounts, chose not to formalise her relationship with the Church through the sacrament of baptism. For those with the staying power, Romanian dramatist and Professor of Theatre, Simona Giurgea brings her full European presence and sensitivity to a stark and at times electrifying performance of Weil's The Poem of Force in the video embedded below. Trained in Romania, and serving as lecturer at a number of universities in the U.S. since 1995, Simona Giurgea offers a masterful on-stage re-creation of Weil's essay. In it, she resuscitates the nearly-lost art of the rhapsodei, the ancient Greek poets and interpreters of Homer who carried his work in their very being having committed the epic poem to memory and reviving it with each new performance. In her dramatic interpretation, Simona Giurgea seamlessly interweaves Weil's text and selected excerpts from the Iliad into a performance that both elicits and reflects the timeless nature of Homer's poem. For most of her short life, Simone Weil felt intensely the unsatisfactory nature of earthly life. Even as a child, she had identified with the pain and privation of young French soldiers mired in the battle fields of Europe. Despite her own relatively comfortable circumstances - her father was a doctor - as soon as she had won her first freedoms, she actively took on the cause of the poor and of unemployed workers. She had directed her incandescent intelligence to writers who offered an analysis of the causes of poverty and oppression and the means of overcoming it, but found their suggested solutions served only to replace one form of oppression with another. But who truly knows the consequences of such acts apart from those unfortunates in the line of fire, and those heroic individuals who witness and document the human reality of what is otherwise counted in the ledger of contemporary history as anonymous casualties and collateral damage? Reading Ivan Illich is not easy, though in a different way to reading Continental philosophers or quantum physicists. Illich’s language is demanding and requires a certain suspension of judgement if one is to penetrate the systemic meaning behind his often challenging – if not vehement - rhetoric. But it is worth the effort. It is difficult to appreciate the nature of Ivan Illich’s critique of Western society and of modernity in general without having some familiarity with his early experiences. He was born in 1926 to a Dalmatian father of landed aristocratic birth and a German mother of Sephardic ancestry whose family had converted to Catholicism. He knew privilege from an early age. Rainer Maria Rilke, Jacques Maritain and Rudolf Steiner were all visitors to his family household. By the age of 17 years, he had resolved to enter the priesthood. He studied philosophy and theology at the Jesuit-run Gregorian Institute in Rome and concurrently undertook a doctoral thesis at the University of Salzburg based on a study of the ideas of Arnold Toynbee. While in Rome, Illich was drawn into a number of influential circles and developed a personal friendship with his old family friend, Catholic philosopher Jacques Maritain. Through Maritain, he was introduced to Cardinal Giovanni Montini, who was later to become Pope Paul VI. 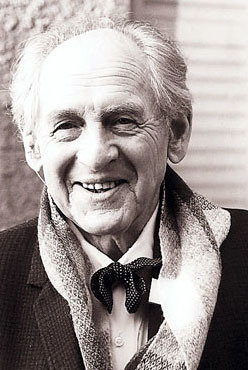 Illich completed his studies and was ordained a priest in 1951. His intellectual power had been noted by Montini who wanted him to join the Vatican inner circle. 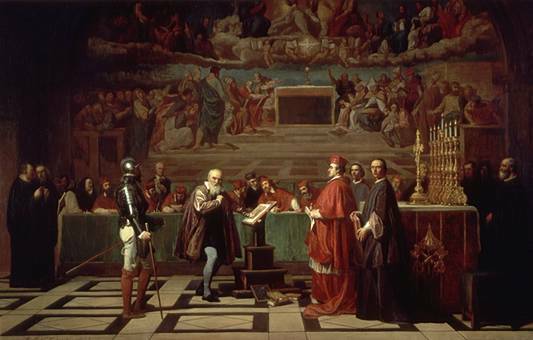 The Cardinal urged him to enrol at the Accademia dei Nobili Ecclesiastici in Rome. Illich, however was more interested in history and planned for a second doctoral degree at Princeton University. He crossed the Atlantic soon after and was appointed parish priest of an impoverished Puerto Rican community in New York. For the next 5 years, Illich was fully immersed in Puerto Rican life and culture. Apart from serving the needs of his own parishioners, he visited Puerto Rico at every opportunity, often travelling on horseback. It was there that he began to regain a sense of the stability and resilience of traditional communities, something that had been shaken by his experiences in Austria. Illich’s time with Puerto Ricans also reinforced a growing distaste for modernity with its wanton destruction of traditional cultures. The themes of cultural integrity and resilience were to be interwoven into his wide-ranging intellectual explorations thereafter. Illich’s unique qualities were soon recognised. By 1956, he had been appointed Vice-Rector of the Catholic University of Puerto Rico where he established a facility that introduced American priests and religious to the language and the cultural life of Latino communities. He also became deeply interested in the schooling of the local children. It was in Puerto Rico that the ideas for what would eventually find expression in Deschooling Society a decade later began to take form. In his role as Vice-Rector at the University, Illich managed to cross swords with both of the Catholic bishops of Puerto Rico. His situation had become so untenable that he eventually resigned from his post. 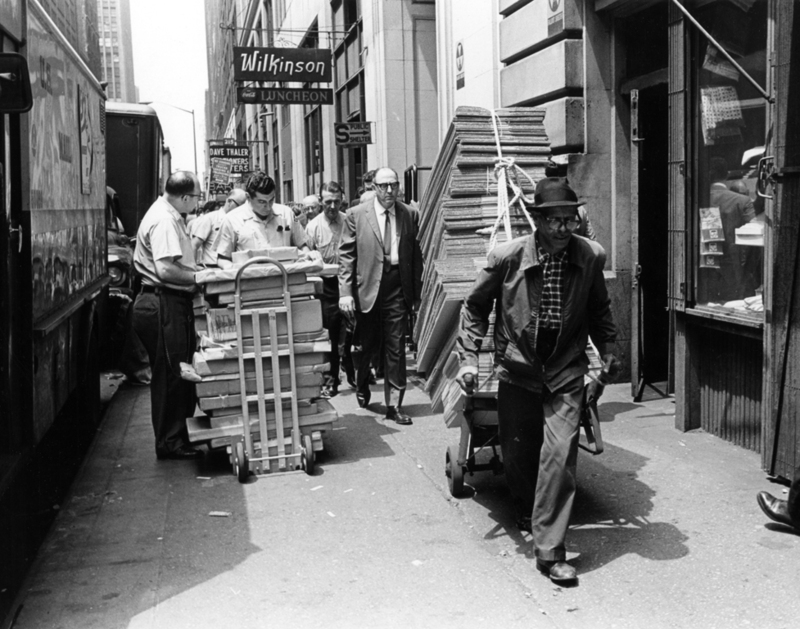 On returning to New York in 1960, he was enthusiastically welcomed by the Centre of Intercultural Formation at the Jesuit Fordham University, which was at that time looking to establish a training program for missionaries in Latin America. Illich was appointed executive director of the new program for a five-year period and given generous funding to set it into motion. He took to the road in search of a suitable base. For the next four months, he ranged throughout Latin America, often travelling by bus or hitch-hiking in order to more fully participate in the life-worlds of local communities. Illich soon gathered a group of influential teachers around himself. Under his stewardship, the CIC in Cuernavaca rapidly established itself as a centre of far-ranging intellectual engagement. Three years later, Illich established a parallel centre in the same premises, the Centro Intercultural de Documentacion (CIDOC), an entity that was completely independent of Church funding. By 1965, CIDOC had virtually subsumed CIC’s role. Through CIDOC, Ivan Illich and his collaborators began to project powerful, independent and controversial ideas that challenged conventional thought in many disciplines. “The men who go to Latin America must humbly accept the possibility that they are useless or even harmful, although they give all they have. They must accept the fact that a limping ecclesiastical assistance program uses them as palliatives to ease the pain of a cancerous structure. . . .
Illich was deeply conscious of the movements that were arising spontaneously among the people of Latin American. By the time that Cuernavaca was established, he had spent close to a decade living close to Latinos, firstly in New York, then at the Catholic University in Puerto Rico, and more recently, on the streets and in the barrios of Central and South America. His contact with Bishop Mendez Arceo had affirmed the existence of a strong and engaged Catholicism in Latin America that was beginning to find its own unique expression. Not surprisingly, word of Illich’s activities at Cuernavaca began to reach the ears of more conservative members of the Catholic hierarchy, both locally and in the U.S. One of the local bishops even accused him of sorcery. 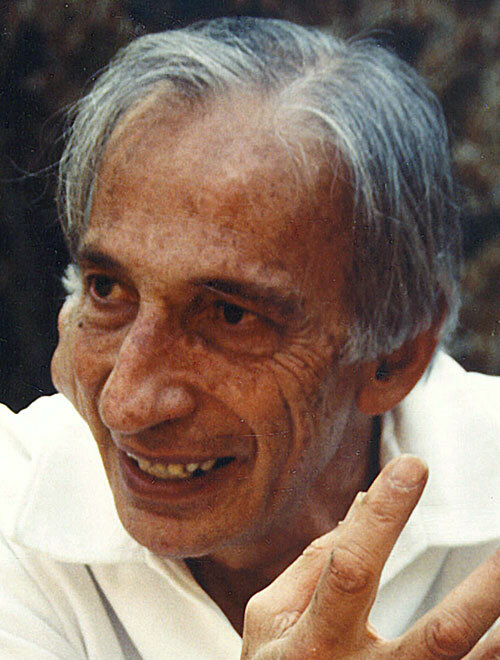 Despite the support of Bishop Arceo in Mexico and Cardinal Spellman in New York, Illich was ordered to present himself before the Vatican’s Congregation for the Doctrine of the Faith in 1967. He arrived in Rome in June 1968 and maintained a dignified reserve in the face of accusatory questions regarding his own activities and those of his religious and academic colleagues in Mexico. 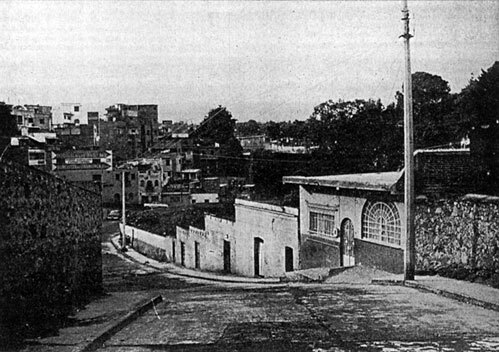 In January 1969, the Vatican instructed the Bishop of Cuernavaca that priests and religious were thenceforth to be prohibited from participating in any of the programs or activities at CIDOC. Illich resigned from his priestly ministry two months later in March 1969. 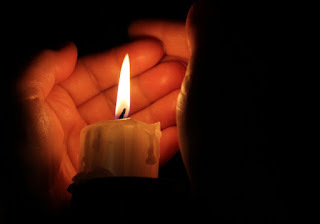 He never, however, lost his connection with the deeper spirit of Catholicism and what he referred to thereafter as Mother Church. He remained celibate and continued to recite the divine office daily for the rest of his life. Having formally put aside his monsignorial role, Illich immediately embarked upon a highly energised and productive phase of his life, publishing four books – each of which was widely read – between 1970 and 1975. Though thematically different, each of these publications offered radical critiques of the cultural developments that Illich and his colleagues had examined at Cuernavaca. The last of these works was entitled Medical Nemesis. The Expropriation of Health. It offered a highly individuated and revolutionary critique of the personal, social and cultural influence of Western technological medicine. Medical Nemesis was a work of deep scholarship, fluid erudition, and fearless rhetoric. It unapologetically laid bare the excesses and the deficiencies of a profession that had over the previous century claimed immense cultural authority for itself. Illich's earlier published books were largely collections of essays. Medical Nemesis however, was a tightly integrated, wide-ranging review of the expropriation of individual and cultural autonomy by the profession of medicine. Illich clearly understood the magnitude of what he was taking on. Unlike his earlier works, Medical Nemesis was extensively footnoted with sources ranging from The Lancet to The New England Journal of Medicine to the works of Montesquieu and Wittgenstein. By the end of the second chapter of this eight-chapter book, Illich had already referred to the writings of such medical commentators as Rene Dubos, Thomas Szasz, Michael Balint and Maurice Pappworth, sociologists including Eliot Friedson and Howard Becker, and philosophers and cultural historians including Simone de Bouvoir, Michel Foucault, Eric Voegelin and Lewis Mumford. By documenting the sources of his ideas and insights with such thoroughness, Illich hoped that his non-medical readers would begin to look at what was already out there for themselves. He also wanted to leave a well-signposted audit trail for those within the medical profession who he knew would be incensed by his revelations. Predictably, Medical Nemesis was not welcomed by most within the medical fold. But Illich was no stranger to the consequences of truth-speaking. He had been forced out of his own church by criticising the policies of the Roman curia and of North American prelates in the management of Central and South American “problems”. Ivan Illich had a penchant for rocking the boat. Not surprisingly, he found himself cast adrift. Illich is to be admired for his principled courage and fearless confrontation of forces he perceived as being inherently noxious and damaging to the individual and the collective psyche. Illich lived as he spoke. Even in the end, he eschewed the ministrations of oncologists in the treatment of a disfiguring facial tumour that seared his latter years, preferring to wear both the pain and the tumour with fortitude and dignity. He remained active until the end and found occasional ease in his latter days by lighting a small piece of opium in the pipe that he carried about with him. There is more that could be said, but this is sufficient to give some sense of the systemic nature of Illich’s critique. He was not interested in patchwork solutions, but along with his contemporary brothers-in-arms Fritz Schumacher and Leopold Kohr, Ivan Illich sought to alert all who would hear that Western civilisation had entered very dangerous and destructive times. Life is a Test: Ivan Illich's Medical Nemesis and the "Age of the Show"
A fascinating perspective on the ideas presented by Illich in his Medical Nemesis is offered in the video clip below by Babette Babich, professor of philosophy at Fordham University. This presentation is adapted from a lecture she gave to the International Philosophy of Nursing Society in Quebec, Canada in August 2016. Forty years after the publication of Medical Nemesis, Babette Babich wryly reflects on the present state of medicine and its contemporary "cutting edge" aspects. 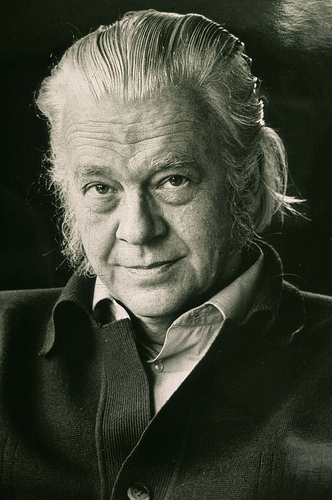 This post offers both an audio presentation drawn from two lectures given by Schumacher in the 1970s and a review of some of his ideas as presented in Small is Beautiful. Leopold Kohr was professor of economics and public administration at a number of universities in North America, Puerto Rico, and the United Kingdom from the early 1940s to the 1970s. As a younger man, he spent time in Spain as a journalist, sharing an office with Ernest Hemingway, and a friendship and many conversations with Eric Blair, who was later to publish his own writings under the pen name of George Orwell. The wisdom of Leopold Kohr is the wisdom of one who has realised the essential perplexity of many aspects of human reality and of one who has sought to communicate his insights and offer an alternative, albeit unrealisable vision. I have in recent months become increasingly aware of a growing hostility expressed towards Pope Francis by a number of individuals and fundamentalist Catholic groups who remain ideologically opposed to the reforms carried out after Vatican II during the 1960s. I have found this perplexing, particularly in view of the fact that Pope Francis is a man who is deeply aware both of human reality with all its strengths and weaknesses, and of the tenebrous future that confronts our planet and her peoples. "He was a frequent visitor to the villas miserias, the shanty towns, a place of dangling electricity cables and open sewers, and he sent his priests to work there in unprecedented numbers. One of them, Padre Pepe, told [his biographer] that they spoke every week. 'He would show up by surprise . . . he felt comfortable here,' he said. 'He was trying to show that the slums were not just important for the people who live there, but for the whole Church.'" Pope Francis has also been an energetic reformer in his dealings with corruption in the Church. During his time as vicar-general in Flores, he asked that church authorities reveal the extent of their property holdings. Jose Luis Mollaghan, a senior priest in charge of finances, tried to block his investigations. Soon after his investiture as archbishop of Buenos Aires, Bergoglio summarily removed Mollaghan - together with another cleric who had opposed him - from their posts. The matter did not end there. In 2005, Mollaghan was himself appointed archbishop of Rosario in central Argentina, but in 2013 came under investigation for mismanaging church funds. In May 2014, Pope Francis stripped his old adversary of his role as archbishop and moved him to Rome, appointing him to a commission tasked with investigating priests involved in the sexual abuse of children. It would seem that in the spirit of his new homeland, Pope Francis made a point of keeping his friends close, but his enemies closer. The preferred style of the pontificate of Pope Francis was evident from the start. On his election to the papacy in March 2013, he did not take his seat on the papal throne but chose rather to talk and mingle with his cardinals. When it was time for them all to return to their lodgings, he travelled with them in a bus rather than in the appointed limousine. He chose not to wear the traditional red papal slippers that were presented to him but remained in his street-scuffed and road-worn black leather shoes. When he was ushered into the papal apartments for the first time, he exclaimed, "There's enough room for 300 people here! I don't need all this space", and returned to his small apartment. Three days later, he confided to a group of journalists, "How I wish for a church of the poor, and that the church were poor." "We . . . are the people who, on the one hand want to listen to Jesus, but on the other hand, at times, like to find a stick to beat others with, to condemn others. And Jesus has this message for us: Mercy. I think, and I say it with humility, that this is the Lord's most powerful message: Mercy. It was he himself who said: 'I did not come for the righteous.' The righteous justify themselves. Go on, then, even if you can do it, I cannot! But they believe they can." His broader mission to extend the church's social doctrine was made more explicit soon after. A month after assuming the papal mantle, Pope Francis met with Rafael Correa, the president of Ecuador. Invoking his namesake, he said, "Take good care of creation. St Francis wanted that. 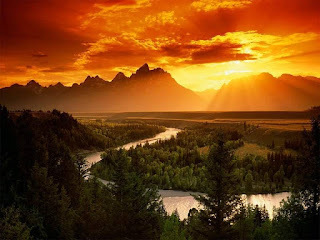 People occasionally forgive, but nature never does. If we don't take care of the environment, there's no way of getting around it." In contrast to his predecessors, Pope Francis has a coherent understanding of the centrality of global capitalism in creating the conditions that have brought the planet to such a perilous edge. This may be one of the fruits of witnessing at close range the struggles of many Central and South America countries against corporate and political interference from imperial powers during the 1970s and 1980s. The recent beatification of Archbishop Oscar Romero, who was murdered by a death squad affiliated with big money and the El Salvador military while he was celebrating mass, further attests to the determination of Pope Francis to reposition the church into the midst of its poorest and least powerful members. Pope Francis has carried the seemingly contradictory dimensions of realism and transcendence, reason and revelation, and empiricism and faith into his papacy. While dealing with the "real" world and all its corruptions, abuses, and institutionalised rigidities, he has maintained deep fidelity both to the sources from which his own Catholicism has sprung, and to the ongoing historic manifestations whereby it is perennially sustained. Contrary to the suggestions of certain observers, Pope Francis is no quasi-secular hero come to sort out all the silly superstitions and anachronisms in which Roman Catholicism is steeped. Over and above all else, he is a Jesuit, a member of the Society of Jesus, one irrevocably formed by Ignatian training in memory, hope and discernment. And he bears the full history of the church with all its wounds and all its powers in his person. This is evidenced in his acknowledgement of and participation in realities that the modernist temper prefers to ignore, if not deny outright. A short four months after he was elected, Pope Francis consecrated the Vatican to St Michael in a garden ceremony held on July 5th 2013. St Michael had figured prominently in the life of the church until the reforms of Vatican II. This was due largely to the influence of Pope Leo XIII who in 1884 experienced a visionary encounter between Satan and Jesus in which he heard Satan boasting that he could destroy the church within a century if given enough power and freedom. A softly spoken voice replied: "You have the time. You will have the power. Do with them what you will." Pope Leo immediately retreated into his study and emerged soon after with a newly composed hand-written prayer to St Michael. 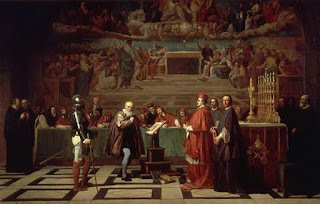 He passed it on to his secretary with instructions that it was to be universally distributed and read thereafter in every Catholic Church after the celebration of each mass. The prayer fell out of favour after Vatican II though it continues to be part of the private devotions of many Catholics. The act of consecrating the Vatican to St Michael by Pope Francis represents an act of invocation of the great prince of angels in order to protect the Vatican City state and all who live and work in it from corrupted and corrupting influences. 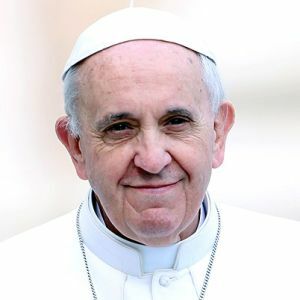 In earlier informal discussions with Latin American clerics, Francis had spoken forthrightly about a "stream of corruption" within the Vatican Curia. During the consecration ceremony itself, he said: "In consecrating the Vatican City State to St Michael the Archangel, I ask him to defend us from the evil one and banish him." Though many may consider this to have been a quaint, archaic and largely symbolic ritual, it reflects the complete acceptance by Pope Francis that there are powers at work in the world that defy rational comprehension. 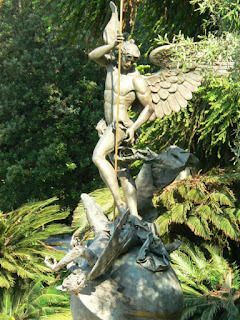 St Michael himself has a long history of manifestation within the Catholic tradition. The Cave of St Michael at Monte Gargano was often visited by Padre Pio of Pietrelcina who - together with St Francis several centuries before him - viewed it as a place of transformative spiritual power. In October 2013, a few months after the consecration ceremony in the Vatican, a painting of St Michael situated in a funerary chapel on the island of Rhodes began to secrete tears from its eyes. All the usual tests were conducted and it was concluded that the painting had not been interfered with in any way and that it did, in fact, mysteriously exude a tear-like fluid. Even after the painting of St Michael had been transferred from the funerary chapel to the main church in Ialyssos nearby, it continued to weep. Canadian philosopher and author of A Secular Age, Charles Taylor has declared that, "We are no longer dealing with a real presence. We can now only speak of an act as symbolic." As with most overarching generalisations, this simply does not hold true in all circumstances or for all individuals. There are some whose experience is otherwise. This is certainly the case with Pope Francis and his invocation of St Michael to protect the Vatican. And it is equally the case in the curious enigma of the Portuguese Catholic mystic Alexandrina da Costa who lived ecstatically for a period of over 13 years solely on a single daily consecrated Eucharistic wafer. Throughout that time, she neither drank a drop of water nor consumed a morsel of food. Such phenomena have occurred throughout history and will doubtless continue to occur despite the protestations of militant rationalists. 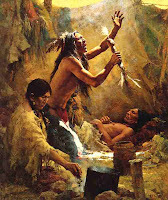 They are a verifiable part of human experience and are integral to the deeper human story. They cannot be simply swept aside because they do not conform to a certain view of how the world must be. 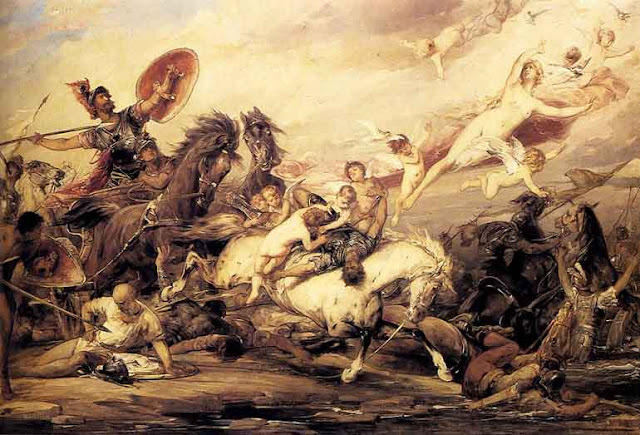 European Christianity carries numerous such stories in its long and often contradictory history. These manifestations bespeak the uncomfortable-for-some but nonetheless fully evidenced reality that the world is infused with energies and graced by phenomena that lie well outside the prescriptive domains of scientific naturalism. And this understanding is integral to the world inhabited by Pope Francis. One of the great treasures held within the heart of Italian Catholic spirituality is the mystery of the regular and repeated liquefaction of the blood of San Gennaro (St Januarius) three times each year at the Cathedral of Naples. According to tradition, the blood was collected after the martyrdom by beheading of San Gennaro during the reign of Diocletian. Since the late 14th century, several times each year, the blood which is stored in a vial mysteriously transforms from a dark, coagulated mass into a labile and liquid state. On March 21st 2015, Pope Francis visited the Cathedral of Naples to address a large gathering which included many priests and nuns. The reliquary containing the solidified blood of San Gennaro was brought to the altar for the occasion. After putting aside his prepared notes and delivering an extemporised address, Pope Francis kissed and later blessed the crowd with the reliquary. Much to the surprise of everyone present, the blood began to liquefy. Pope Francis was not at all perturbed by what had happened, even though it had been more than 150 years since the blood of San Gennaro had actually liquefied in the presence of any pope. With gentle humour, he used the occasion to urge those present to strive more fully in the exercise of their faith and the honouring of their church. It is clear that Pope Francis has his feet planted equally firmly in both the physical world with all its difficulties and contentions, and in the world of divine presences that are capable of irrupting gently - and sometimes not-so-gently - into human experience. Three months after he had consecrated the Vatican to the protection of St Michael, Pope Francis welcomed a small statue of the Blessed Virgin Mary. At his specific request, the statuette had been transported to the Vatican from Fatima in Portugal, where it usually resides. A dedication ceremony was performed in the presence of the statue on October 13th 2013, the anniversary of the final apparition of Mary to three children in a field near Fatima in 1917. This was in fact part of a conscious sequence initiated by the pope in the days immediately following his election to the papacy. It is common knowledge that Pope Francis has for many decades been intensely devoted to Mary, the mother of Jesus. He prays the rosary three times each day and has encouraged Marian devotion among his congregations. Within hours of his election as pope in March 2013, he approached Cardinal Jose da Cruz Policarpo of Lisbon and made a special request that his pontificate be consecrated to Our Lady of Fatima. This was accomplished two months later after a mass at the Fatima Shrine on May 13th, the 96th anniversary of the day on which the Blessed Virgin first appeared to the three children at Cova da Iria in Fatima. It is no surprise that Pope Francis brought this process to deeper fulfilment exactly five months later by bringing the most celebrated Marian icon in Catholicism to the Vatican and using the occasion to consecrate the world to her care. October 13th 1917 was the day on which, true to her promise, the Blessed Virgin gave a sign of her living presence at Fatima by manifesting the Miracle of the Sun, which was witnessed by over 70,000 people who had gathered at the cove and by many others who lived nearby or were travelling through the area at the time. There are many aspects regarding the manifestations at Fatima - all of which are on the public record - that give pause to the notion that the possibilities within human experience can be fully circumscribed by the laws that govern physics and the material universe or by genetic determinism. The phenomenon of Fatima is central to Pope Francis's vision of both the future of the Church and the future of the world. In his role as pope, he has no doubt been fully briefed on the nature and the content of the prophecies of Fatima that have been serially delivered and variously interpreted over the decades. It is clear that Pope Francis has fully accepted the veracity of the events that occurred at Fatima in 1917. It is also clear that he accords power and agency to manifestations of the divine as they have been expressed from the healings performed by Jesus 2,000 years ago to such contemporary irruptions of presence as occur at Lourdes, Fatima, Rhodes and the Cathedral of Naples among other places. Such phenomena all point to the fact that the story is far too complex to be fully encompassed by reductionist scientism, materialist philosophy, a dehumanised and dehumanising economics, and the cynical opportunism that defines contemporary politics. The declaration by Pope Francis of 2016 as the Year of Mercy, was an act of great hope and affirmation. 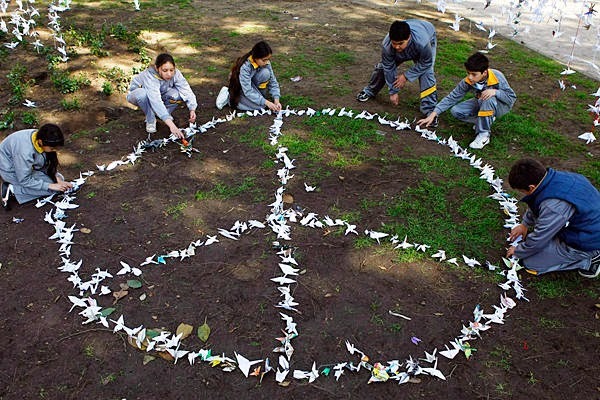 Despite the seeming hopelessness of the times with its many wars, mass migrations of refugees, social and spiritual desolation, widespread inequality, and relentless environmental destruction, Pope Francis has called for an opening of the human heart to powers that reach deeper than anything we are ourselves capable of construing, and an awakening of the human will to ways of peace and mercy that begin within oneself and thereafter emanate through all our fields of influence. 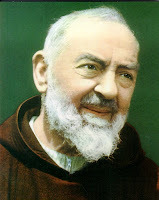 This post offers a review of the life and work of Padre Pio of Pietrelcina, a Capuchin priest who carried the wounds of the crucified Christ. It includes an English translation of his Prayer for Healers, and carries an embedded documentary that examines his life and influence. This post reflects on a range of experiences while accompanying our daughter to a large Melbourne public hospital. 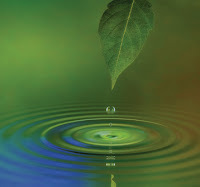 It offers some personal reflections on the nature of healing in all of its manifestations. The Western herbal medicine tradition represents a neglected and devalued repository of much of the knowledge developed over many thousands of years of medical experience in Europe, the Mediterranean and the Americas. Practitioners of herbal medicine throughout the world continue to make use of several hundred medicinally-active plants many of which have a long and established history. A few among these plant medicines have found popular use in recent decades - even to the point of reaching the hallowed shelves of Western supermarkets. Such plants include echinacea which stimulates activity in the immune system, ginkgo which enhances cerebral circulation, saw palmetto which is useful in the treatment of prostatic enlargement, and St. Mary's thistle which stimulates liver detoxification. Yet the Western herbal medicine tradition represents far more than a source of agents that can serve as alternatives to more commonly available pharmaceuticals. The audio below offers an in-depth discussion between two experienced educators and practitioners in the Western herbal medicine tradition. Mary Allan has taught herbal medicine in New Zealand and is currently editor of Avena, the Journal of the New Zealand Association of Medical Herbalists. Vincent Di Stefano has taught herbal medicine in a number of theatres in Australia and is author of Holism and Complementary Medicine. History and Principles (Allen and Unwin, 2006). The discussion explores not only many aspects of herbal medicine, but examines the nature of healing in its broader sense, ranging from personal and interpersonal healing to planetary healing. This post also carries an essay that examines the nature of contemporary medicine and technology, the role of practitioners of herbal medicine in the broader work of healing, and the longer-term role of medicinally active plants as agents of healing. Guarding the Flame can be streamed using the media player above. A CD quality mp3 file is available for download here. Practitioners of herbal medicine hold the curious privilege of being carriers of a tradition whose origins can be barely traced through the mists of history during a time when traditional knowledge has been demeaned and devalued by a civilisation that celebrates transience and power. Contemporary biomedicine continuously skirts the edge of ever-imminent "breakthroughs" that promise the conquest of refractory diseases through the discovery of new drugs and the development of new procedures. There are regular calls for increased funding from all available sources, from government, from industry and from the donations of a generous public in order that such salvific developments can proceed unhindered. The biomedical establishment draws upon the energy of numerous dedicated individuals and also draws from the immense reserves of both national governments and multinational corporations in the knowledge that any successful "breakthrough" will bring immense financial returns. Meanwhile, the whole apparatus hangs on the assumption that there will be uninterrupted freedom and continuity in the various institutions and infrastructures through which such activities are initiated, pursued, marketed and delivered to established "health care" networks. We are just beginning to understand that business may not necessarily continue as usual in what is becoming an increasingly uncertain future. The resources deployed within the biomedical enterprise are huge. They begin with the medical schools throughout the world that induct elite cadres of young aspirants through rigorous initiations which include a not-so-subtle professional socialisation and a detailed and extensive training in anatomy, physiology, histology, embryology and pathology. The public hospitals in which their developing skills are exercised consist of vast and finely coordinated structures in which ambulance facilities, casualty departments, in-patient wards, operating theatres, intensive care wards, pathology units and pharmacy departments are serviced by large numbers of paramedics, nurses, nutritionists and caterers. medical officers, specialists, cleaners and hospital administrators. The hospital system itself both supports and is supported by medical practitioners within the general community, by manufacturers of medical hardware ranging from disposable syringes, swabs and bandages to intravenous drips, cardiac monitors, fibre optic devices, defibrillators and magnetic resonance imaging scanners, and by a vast and powerful multinational pharmaceutical industry that produces the drugs which are dispensed and sold in huge quantities throughout the world. This vast and interconnected network of activities both defines and supports the institution of biomedicine. Most governments in the developed world uphold this structure through political and legislative support, through the bankrolling of medical schools and public hospitals, and through subsidising the cost of diagnostic testing and pharmaceutical drugs. Practitioners of herbal medicine are effectively outside of the loop. They have little if any legislative support, receive their training in exceedingly modest educational facilities, have no access to the public hospital system, limited access to diagnostic services, and a questionable professional status. Despite this, the practice of herbal medicine continues to remain a vital and enduring source of satisfaction both for those who would carry the tradition through mastery of its methods and for those who seek out the services of knowledgeable practitioners. What is going on here? Are practitioners of herbal medicine a quaint but harmless anachronism determined to cleave to largely discarded ways during a time where health care in most of the developed world has been technologised, corporatised and universalised? Are those who practise herbal medicine obstinately refusing to accept the reality of modernism with its celebration of centralisation, globalisation and standardisation? How is it that they do not covet the awesomely powerful methods that have become the signatures of biomedicine? Just what does the contemporary practice of herbal medicine represent? 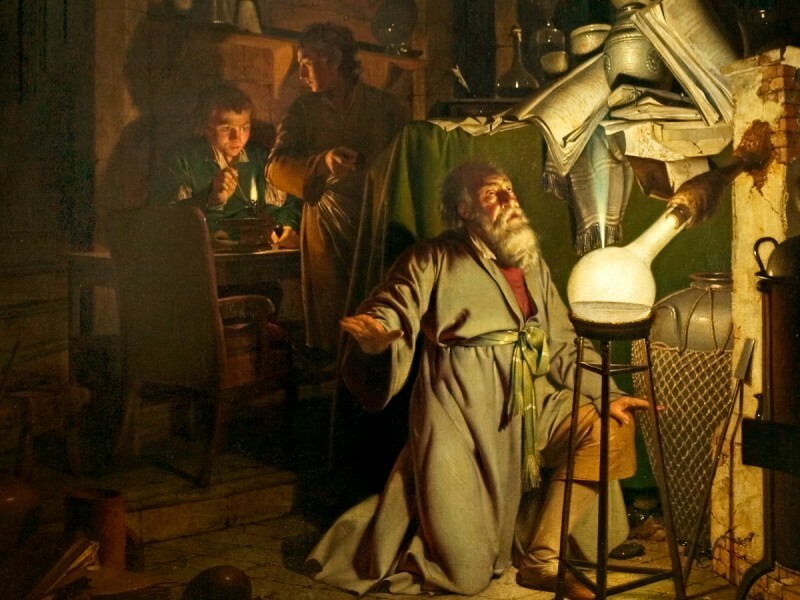 Much of the driving force that has propelled technological civilisation and its extraordinary manifestations - including biomedicine - derives its influence from a philosophical position that separates us from the natural world. 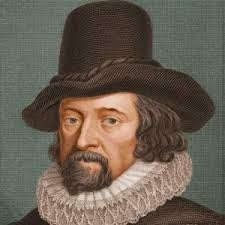 Early in the seventeenth century, Francis Bacon exhorted all who would build the New Atlantis to subject nature to their will in order to forcibly extract those "secrets" that enable control and mastery of her forces. By mid-century, Rene Descartes declared the world and all that was in it to be a soulless machine that could be understood, controlled and manipulated by the exercise of human reason. And by the end of the century, Isaac Newton had confirmed that the physical universe operated according to immutable laws that, once known and understood, conferred immense powers of control and predictability to those who understood them. The so-called European "Enlightenment" further encouraged a philosophical clearing of the decks of all that was deemed to be uncertain or "irrational" in order that a new era based on development, progress and control could proceed without interference. The fruits of such methods and understandings have, during the time since, completely transformed the world. Yet our fascination with the productions of industry and technology and our participation in the power they confer have blinded us to their effects on our view of ourselves, on our relationship with powerful institutions, and on our sensitivity to the natural world. At the most basic level, we have become curiously alienated from those potencies within our own natures and within the natural world by which we are formed, sustained and regenerated. Though we may live by more than bread alone, that bread has now been tainted and denatured by the methods of industrial agriculture and food production. Top-soils have been everywhere destroyed; fruits, often laced with low levels of insecticide residues, are gathered long before they are ripe and transported over long distances - even across the great oceans - before they reach our tables; the genetic structure of many staple grains has been knowingly altered with unknown consequences to future generations; the bee populations in many countries have repeatedly caved under the onslaught of agricultural chemicals. And this is to say nothing of the plethora of heavily processed foods stacked on the overburdened shelves of supermarkets everywhere. We seem to have collectively lost sight of the fact that our physical bodies are continuously reconstituted from the foods that we eat, the air that we breathe, and the liquids that we drink. In the early 1950s, long before chemical-heavy industrial agriculture had reached anything like its present levels, Max Gerson showed through his nutritionally-based cancer therapy the vital importance of using fresh, unprocessed, chemical-free foods if healing is to be activated after health has broken down. This understanding has yet to reach the busy kitchens of public hospitals throughout the Western world. The anatomising of the body into its constituent tissues and organs is echoed in the anatomising of our foodstuffs into their constituent fats, proteins, sugars and calories. There is no measure that can accommodate the integrity, the totality and the equilibrium of living matter. And so it is with the natural world. Our civilisation has recklessly plundered every identifiable resource with little thought to its relationship with the rest of the created order. Our forests have been felled, our soils destroyed, our rivers and lakes laden with the detritus of industry, our oceans robbed of their myriad fish species, our air thickened by the burning of fossil fuels. And we wonder why the cost of health care throughout the developed world continues to steadily rise despite endless medical "breakthroughs" and all the fancy hardware and clever medicines. 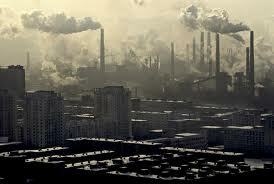 "We cannot have well humans on a sick planet. Medicine must first turn its attention to protecting the health and well being of the Earth before there can be any effective human health." Before we can seriously direct our attention to protecting the health and well being of the earth, we must address our sense of separation from the phenomenal world. We must somehow awaken from the illusion that we are masters of creation who are free to do what we will with both the earth and with our bodies. We must somehow reconnect with the forces that unite us with the natural world from which we can never truly be separate without damaging ourselves and the world within which we live. The force by which a grain of pollen unites with an ovule to produce a seed that carries the full potency of the parent plant is no different to that which enables every new human life to come into existence. The power by which a plant draws water and nutrients from the earth, and oxygen, carbon dioxide and sunlight from the air to produce its myriad structures and chemical compounds is no different to that which enables our physical bodies to grow and to repair themselves after injury and illness. Generations of healers in all times and in all places have identified plants that will serve as reliable allies so long as we continue to take human form upon the earth. In the present time, the biomedical profession has claimed the exclusive right to make use of extracts and derivatives of such plants as Papaver somniferum, the opium poppy, Claviceps purpurea, ergot of rye, Digitalis purpurea and D. lanata, the purple and woolly foxgloves, Ephedra sinensis, ma huang, and Atropa belladonna, the deadly nightshade. Yet these and other powerful plants were long known and used skilfully and carefully by untold generations of healers, herbalists, midwives and shamans. These and many other plants of softer power will continue to spring forth from both wild and cultivated spaces for as long as the earth remains hospitable and habitable. There will always be a community of knowledgeable individuals who will safeguard and transmit the knowledge of how these plants can enable us to better pass through the pains and afflictions that are an inevitable part of human life. The methods of phytochemistry and pharmacology have recently confirmed the particular usefulness of many plants which have long been used in the various herbal medicine traditions. These include such plants as Echinacea angustifolia, which stimulates activity in the immune system, Ginkgo biloba, which enhances cerebral circulation, Serenoa repens, which is useful in the treatment of prostatic enlargement, Hypericum perforatum, used in the treatment of depression and other nervous system disorders, Crataegus monogyna, which can lower blood pressure and stimulate coronary circulation, Valeriana officinalis, useful in the treatment of insomnia, and Silybum marianum and Cynara scolymus, both of which support liver function. Such plants and their extracts are no longer used exclusively by herbalists and are now prescribed or recommended to patients by a growing number of practitioners of biomedicine. Yet there remain may other plants within the herbal medicine traditions whose actions are perhaps too subtle to be easily determined by the harsh methods of phytochemical fractionation and pharmaceutical statistics. It is important to understand that medicinal plants and their extracts are categorically different to the pharmaceutical drugs used in biomedicine. A single medicinally active plant or its extract typically contains small quantities of numerous compounds and influences which can, both individually and synergistically, interact with our own natures. Although any given plant may contain a specific potency, as is the case with opium poppies and their narcotic alkaloids, foxglove and its cardioactive glycosides, and the buckthorns with their purgative anthracenosides, most plants used as medicines carry a constellation of influences which may include minerals, organic acids, essential oils, bitter compounds, flavonoids, steroids and so forth. This is certainly the case with such gentle treasures as lemon balm, golden rod, white horehound, cleavers, agrimony, motherwort, chamomile, plantain, dandelion, yarrow and many other plant medicines. During this time when the ways of herbal medicine are often dismissed and demeaned as outmoded and useless superstitions, we are well advised to deepen our familiarity with the healing plants both in our gardens and in the wild. 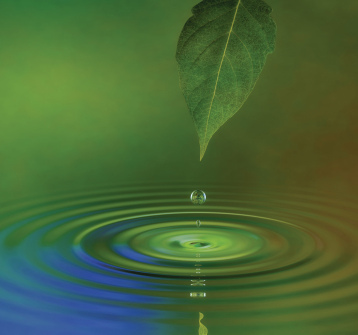 This will ensure that regardless of whether the future holds a bang or a whimper, this soft system of healing will remain available as a living force for the benefit of future generations. Vincent Di Stefano N.D., D.O., M.H.Sc. The technological project has permeated virtually every aspect of biomedicine from the manufacture of drugs and the analysis of blood samples to such visualisation technologies as fibre optiscopes and PET scanners. Yet healing partakes of more than material interventions. 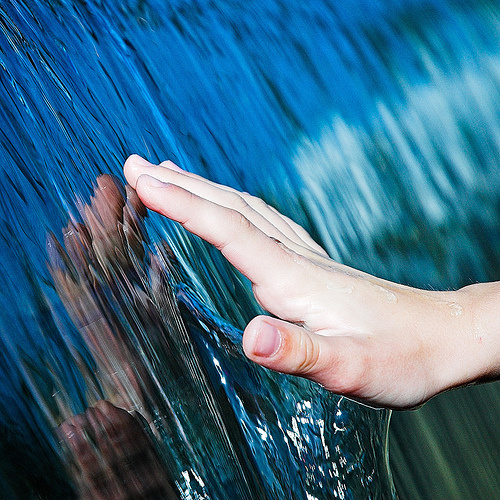 This post reflects on the movements of mind, faith and spirit in the work of deep healing. In her book Kitchen Table Wisdom. Stories that Heal, Rachel Naomi Remen makes the following observation: "For all its technological power, medicine is not a technological enterprise. The practise of medicine is a special kind of love." This post offers a short phenomenological reflection on the experience of being admitted to the Emergency Ward of a small public hospital on the outskirts of Melbourne, Australia.